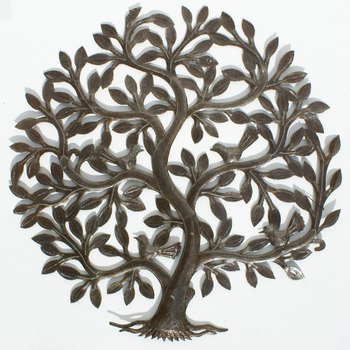 Tree of Life with Leaves and Birds Gifts Haiti Metal Wall Decor Shopping Haitian Metal Art for Sale, Size 24"
Metal tree of life with birds made of recycled oil drums. Art of Haiti, 100% handmade. Size 60cm.